In a feverish state during my recent sickness (see previous post), and the result of time in bed in front of Google Earth trying to simulate being outside, I developed a strange obsession with getting to know Stairs Gulch better. Stairs is know by skiers as THE “big, dark, scary” side canyon of Big Cottonwood Canyon that few go into because it’s so dangerous. 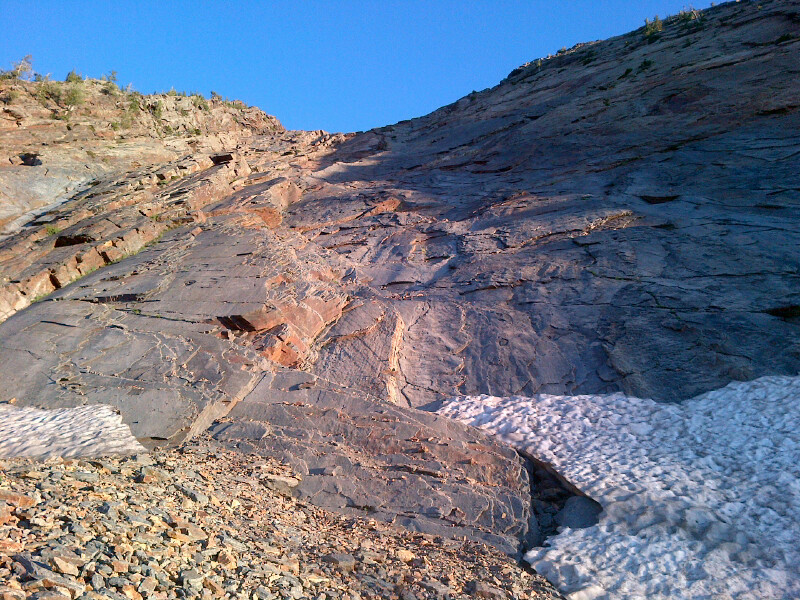 It’s incredibly steep, all rock (quartzite) up high, and extremely prone to avalanche. Canyoneerer’s have even charted this unique canyon due a tight sub-canyon that exists in the gut of it. Climbers flock to the short climbs near the mouth of Stairs Gulch for easy classics like Steort’s Ridge on the Dead Snag Arete. 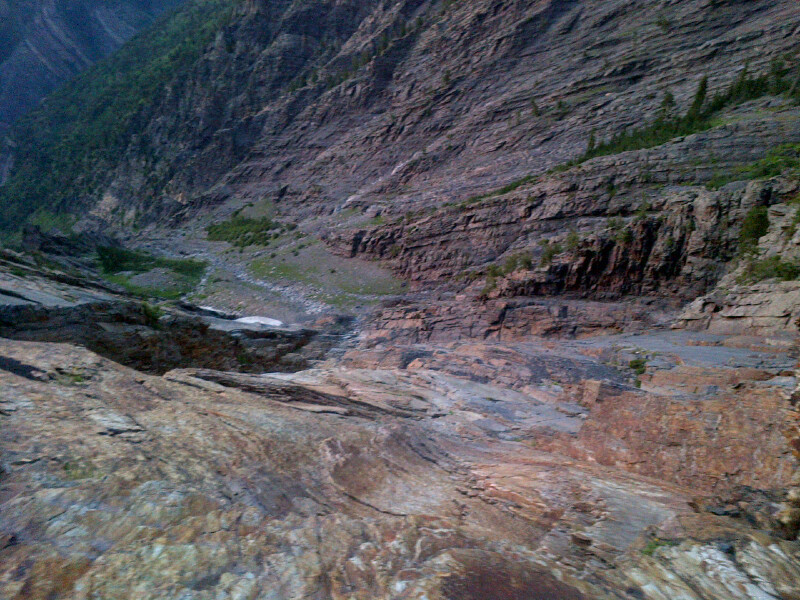 Hikers periodically venture up the first mile of the canyon, but above that few people continue on. Consequently, Stairs keep most folks out, which is why I curiously wanted to know more. Turns out, in the summer and on foot, Stairs Gulch is an incredible canyon that shouldn’t be missed if you’re up for some scrambling. Stairs is steep, raising ~4,500′ in 2.0 miles to the ridge, which can then be used to access Broads Fork Twins and the WURL Traverse. The upper head-wall is incredible with a bullet-proof slab of quartzite. If you’re up for a good scramble, or even want to drag your climbing gear up Stairs Gulch is sure to leave you smiling…. 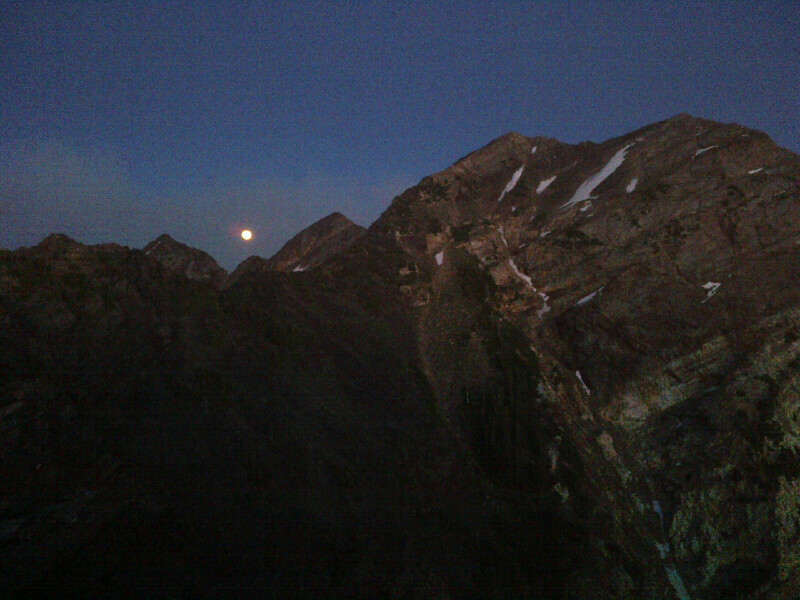 Moonrise between Sunrise and Dromedary as seen from the top of Stairs Gulch. Hi Jared – I Have never been in Stairs Gulch, would like to go up soon. I have done lots of scrambling and ridge hiking in the Wasatch, including West Slabs with trail runner shoes and no gear. How does Stairs Gulch compare? Hey, Stairs Gulch is similar to an adventure up the West slabs, but much longer. At the upper headwall, if you go straight up it it can quickly become MUCH more difficult. I’ve done 2 different routes up it, one at ~5.9, one at ~5.8. You can avoid it all by hiking out left. Best of luck.